Blend on high. Optional toppings: SF Whipped Cream, and drizzle of SF Caramel Sauce and another dash of Pumpkin Pie Spice. Yum! It's Giveaway Time! If you are the lucky winner of this giveaway you'll have almost all the ingredients to mix up a batch of this pumpkin-y goodness. The Prize: A tub of Celebrate Vitamins ENS - Multivitamin, Calcium, & Protein Shake in the SUPER YUMMY Vanilla Cake Batter flavor, a 28oz. 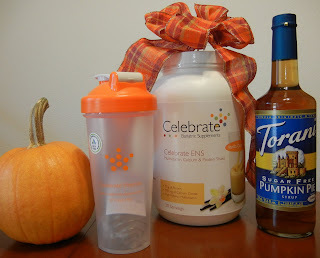 Blender Bottle Shaker, and a bottle of Sugar Free Pumpkin Pie Torani Syrup. 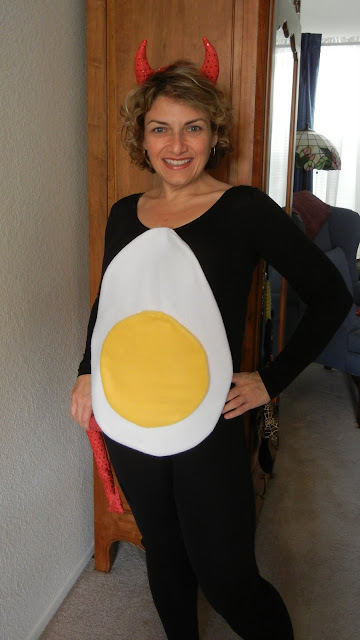 How to enter: Like both Celebrate Vitamins and The World According to Eggface on Facebook. Come back here and LEAVE A COMMENT (include a name and an email addy) on this blog posting. P.S. Can't wait to find out if you are a winner to get yourself some Celebrate ENS (Essential Nutrient System) or want to learn more about this one of a kind way to get your multivitamin, calcium, fiber AND protein all in one shake (perfect for early post-ops.) Here's a link for all the 411. The Caprese Salad Googly Eyes I spotted in a magazine and knew they had to be a part of this year's Halloween bento box. It's a fresh basil leaf, with a slice of tomato on top, halved fresh bite-sized mozzarella ball and black & green olive eyes. The pudding is sugar free vanilla pudding with a few drops of red food coloring and almond slice "fangs." 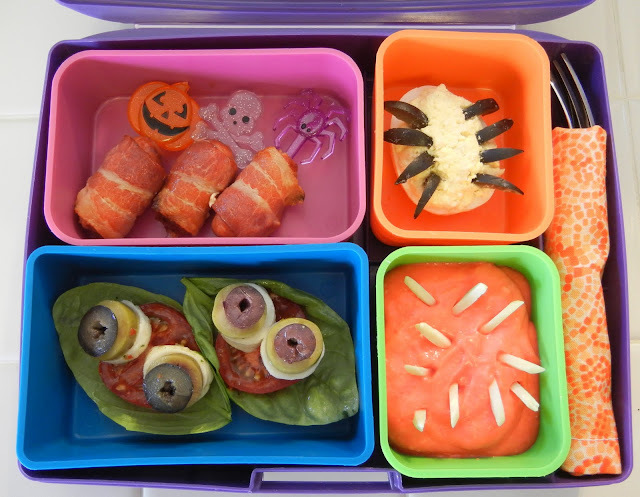 Want to take a look at last year's Halloween bento creation. 1. Thank you guys for voting. My weight loss surgery friendly, Crock Pot Carnitas recipe is in the #2 position for the 2011 America’s Next Pork Crock-Star. You can vote once a day until October 31st. It's in the Pork Inspiration Category - Michelle Vicari - Shelly's Crock Pot Carnitas. When you see the list of nominees scroll to the bottom to vote. 2. Another October 31st deadline: Kay's Gluten Free Protein Snack Sale. Up to 30% off (see link for details and discount code.) My favs: Protein Cookie Bites (like puffy Cinnamon Toast Crunch cereal) and Protein Cereal (Crunchy O's in 3 flavors - great sprinkled on yogurt, and I make a great "trail mix" using a handful) are part of the sale. Nom nom nom. Obese patients may be seeing doctor discrimination. 5. Heads up: Be sure to hit the blog this Sunday... an AWESOME giveaway begins. If you haven't made my fluff stuff yet, you've got to make it. Remember that Jello 1-2-3 layered dessert from the 80's this is like a healthier version of that. Any Sugar-Free Jello, any flavor SF Torani Syrup, any Fruit, and a little Greek Yogurt protein bang! 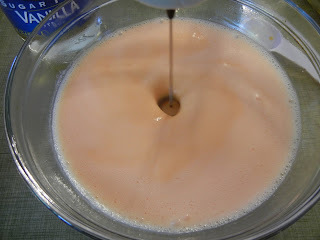 If you want even more protein bang for your buck you can add a few tablespoons of your favorite protein powder to the yogurt and syrup mixture (mix well) before adding it as directed above. 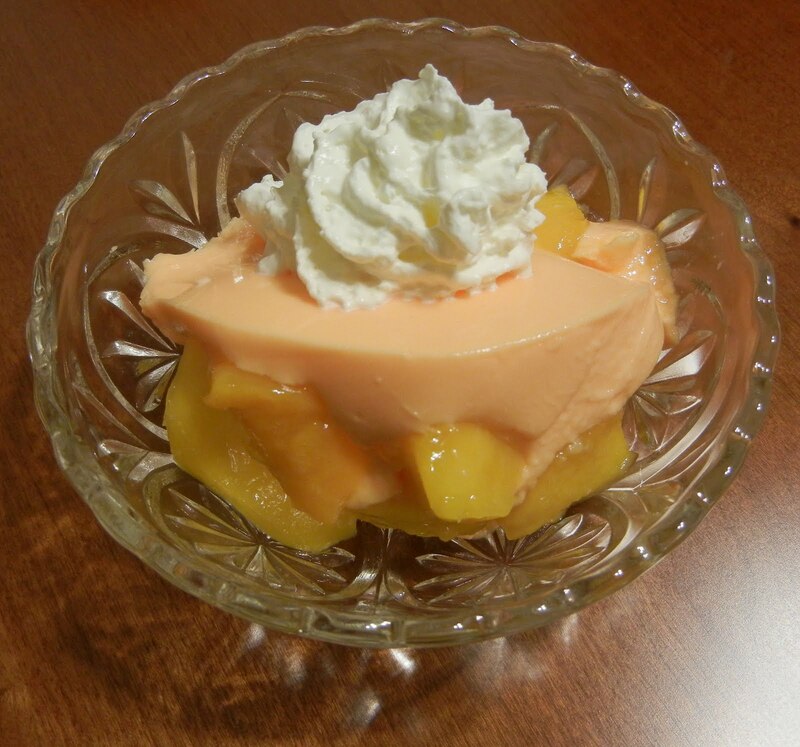 This SF Orange, SF Vanilla Torani and frozen Mango version is the perfect Halloween orange treat and with a little squirt of sugar free whipped cream on top it looks candy corn-ish. So when those snack sized bars start calling your name this week make up a batch of this! 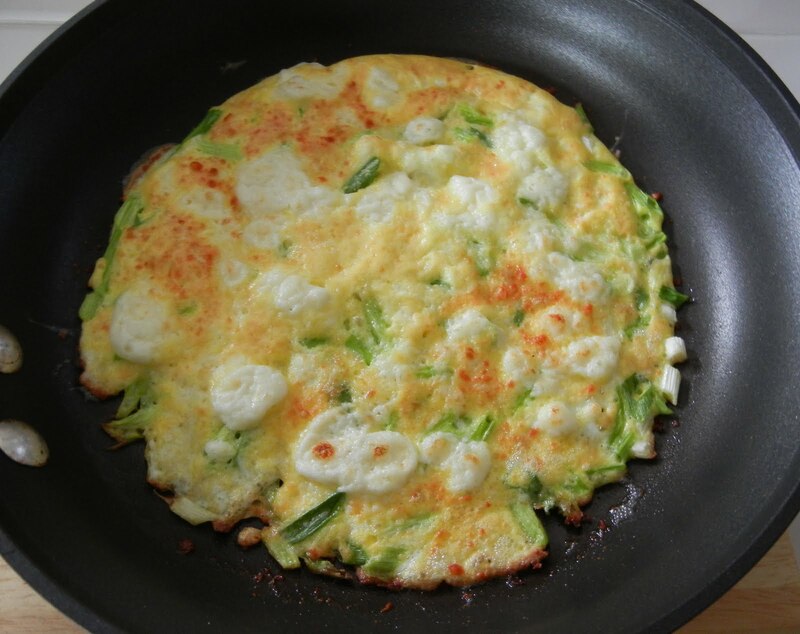 Breakfast: I had some green onions that needed using up so I chopped them up and made this delicious frittata. Spray oven safe saute pan with Pam nonstick spray. Saute onions for a minute or two. Add beaten egg and distribute onion evenly. Cook on medium heat. When eggs are almost set on bottom but still wet on top sprinkle with cheeses and pepper. Place pan in oven and broil till the top is set and just golden. This was plenty for 2 people. Lunch: Took my super cool bento box (link to purchase on left) and my work outside. I'm trying to get more outside time, fresh air... last week I spent 3 days curled up in the fetal position with an awful migraine. I think it was weather-related we went from 70's to triple digits in a day. My body did not like it at all. I'm also trying to spend some time outside with Charlie, the cat, we're getting used to each other. 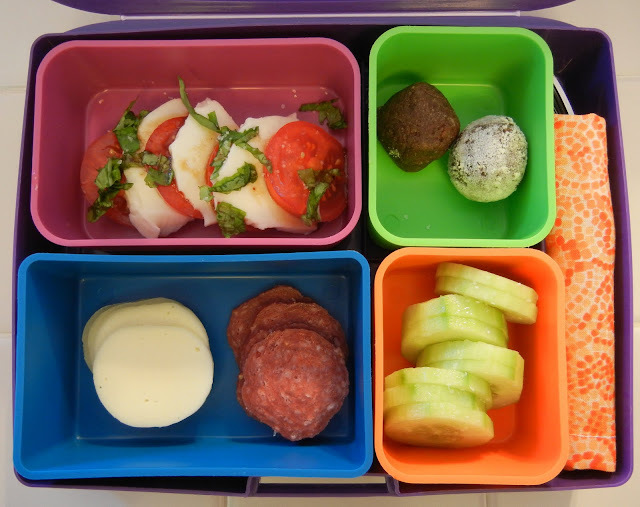 Orange Box (bottom right): Sliced Cucumber "Crackers"
One packet has 8 salami rounds and 8 provolone rounds. Once open I save the leftovers in a Ziploc baggie and they are fine for a few days in the fridge. They are perfect on a picnic. I make little "sandwiches" with my cucumber crackers. Yum. Dinner: I went out for Sushi. 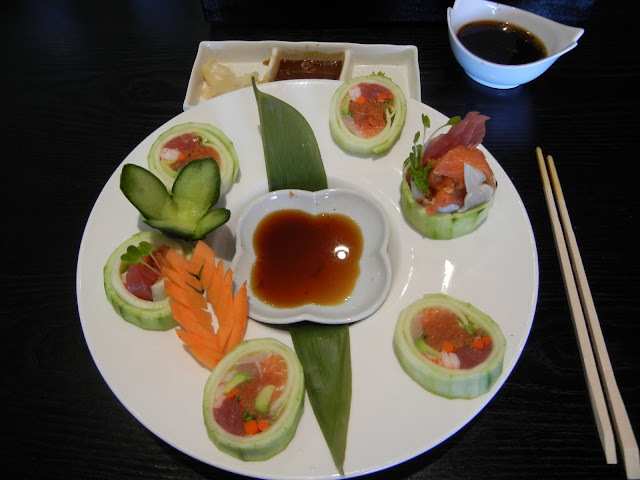 You guys know I don't do rice but my favorite Sushi spot makes riceless rolls using cucumber, at my restaurant they are called Summer Rolls, sometimes at other restaurants I've seen them called Cucumber Rolls, Kamisu Rolls, Naruto Rolls, just ask your Sushi chef to make you a riceless roll. Assorted Sashimi (raw fish) and veggies (cucumber, avocado) rolled in thinly sliced cucumber. 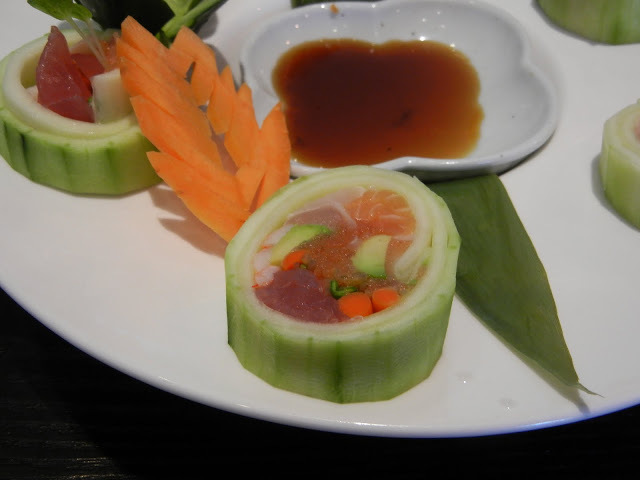 Sometimes I just order Sashimi (the slices of fish alone) which is great too but this roll is soooo good. I dipped them in a little soy sauce and wasabi. Heavenly and loads of protein. Snacks: Oodles of coffee, a couple of slices of Mango (Costco, pre-cut) and OMG I got my hands on a few of the new Quest Protein Bar flavors. I sampled the Cinnamon Roll. Seriously... the minute you open the wrapper it smells like Sunday morning at Grandma's (well not my Grandma she was Sicilian and Sunday morning smelled like tomato sauce but you get what I mean). I think they are currently sold out of them but when you can get your hands on some. Do it. The other flavors are great too but I just may have found my new favorite. More day in my pouch entries. P.S. My Crockpot Carnitas recipe is currently in the #1 spot. Thank you for voting. You guys rock. 1. My weight loss surgery friendly, Crock Pot Carnitas recipe is in the running for the 2011 America’s Next Pork Crock-Star. You can vote once a day in each category until October 31st. It's in the Pork Inspiration Category - Michelle Vicari - Shelly's Crock Pot Carnitas. Thank you for your vote :) xo If you haven't made it yet... it's a winner, even if it doesn't win. Try it. Here's what I usually serve it with. and BE SURE TO CHECK OUT the OAC's Bias Busters Call to Action. I can not imagine how this Dr. has a license or worse how this magazine allowed this ignorant crap to be published. 4. 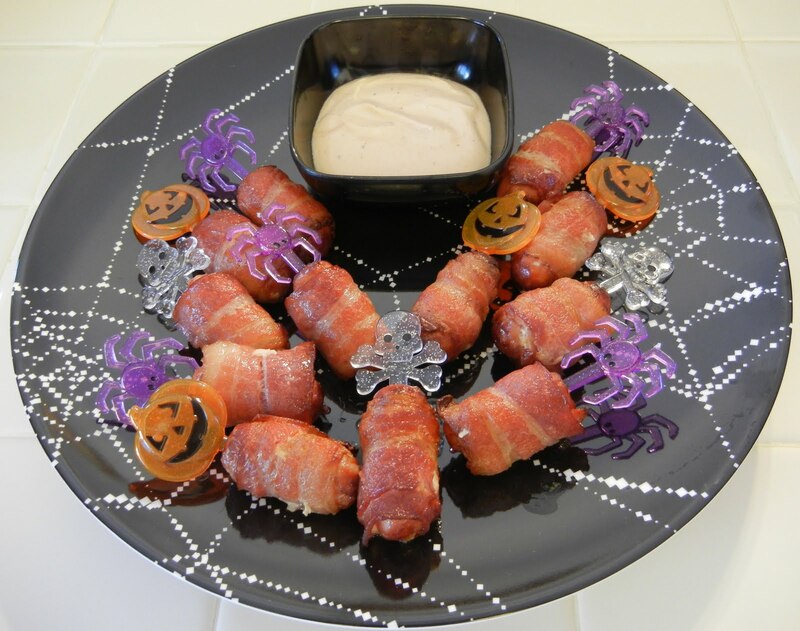 Are you looking for a healthy weight loss surgery friendly, high protein Halloween treat? I took my Espresso Protein Truffles and spooked them up. Toppings (optional): Unsweetened Toasted Coconut, Crushed Nuts, SF Pudding Mix, more Protein Powder, Unsweetened Cocoa, Crushed SF Candy Cane or for the bats I just left them plain. Mix all ingredients till thoroughly combined. Roll into walnut size balls. Roll in unsweetened Toasted Coconut (or other topping choices.) Place in fridge to firm before serving. If your Almond Butter is very loose (brands vary - I used fresh ground) you can add up to a scoop of protein more, you want a soft play dough texture but remember it firms in the fridge. Keep leftovers refrigerated. You can also freeze them and defrost in the fridge as needed. Makes about 25. Click on bat template to expand to actual size. Print. 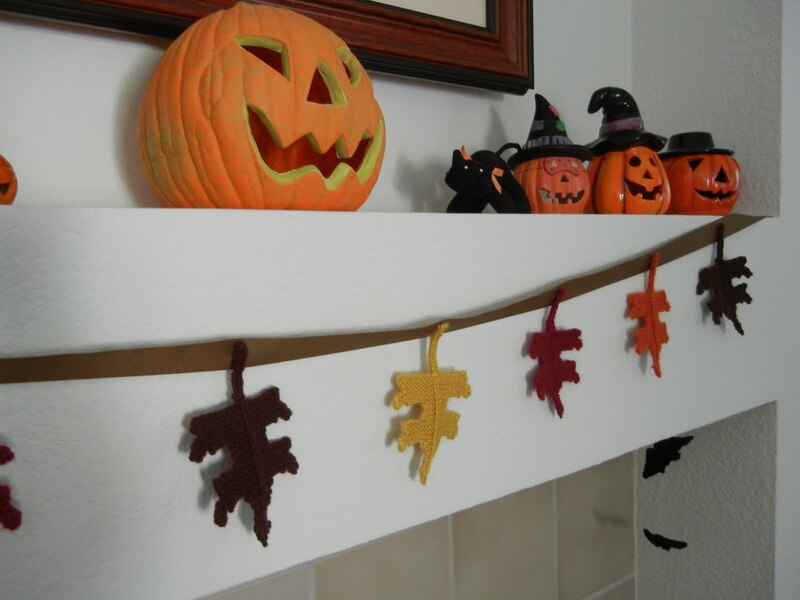 Cut bat shapes out of black construction paper or paper plates using the template as a guide. 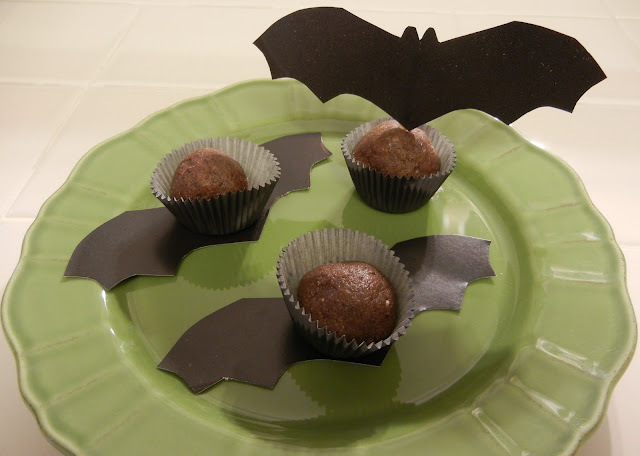 Place truffles in mini muffin cups and place in the center of bat or tape a toothpick to the back of bat and insert into truffle. 5. If you are in the Southern California area and looking for something fun and fall-ish to do this Sunday (October 23rd), a group of us Weight Loss Surgery pals are meeting up at Tom's Farms in Corona, CA to walk around the shops, hang out, have lunch. Please join us! We're meeting in front of the Wine & Cheese Shop at 12 noon. The Obesity Action Coalition (OAC) unveiled a new initiative, the "Bias Busters" with a goal to raise broader public awareness of weight bias and stigma and its harmful consequences. Obesity affects more than 93 million Americans nationwide. One out of every 8 deaths in America is caused by an illness directly related to obesity. In addition to the debilitating effects of obesity those affected must also face weight bias and stigma in social settings, workplaces, schools, healthcare, pop culture, etc. Weight bias is especially prevalent in children affected by obesity and can lead to bullying. For a better understanding of the issue the OAC has amassed a collection of articles and resources. A person’s weight provides no indication of an individual’s character, credentials, talents, leadership or contributions to society. I'm assuming if you are reading my blog you or someone you love is affected by obesity. Please considering joining the OAC in this effort and beyond. The Obesity Action Coalition is a national non profit organization dedicated to giving a voice to those affected by obesity through education, support & advocacy. Individual memberships are only $20 a year and you'll be sure to receive automatic "Bias Busters" alerts along with your other membership benefits, Weighty Matters magazine, action alerts, a monthly newsletter, access to great resources and the best benefit... being a part of a GREAT organization fighting for us and those we ❤ CLICK HERE for all the 411 on joining the fight. P.S. Here's the first CALL TO ACTION. Confession: I'm so bad at drinking water. It's a daily battle for me and most days I fail miserably. Most Dr's want us drinking 64 oz. of H20 daily. Well, I drink that much but it's usually hot and brown. Mmmm I love my coffee. I know water has countless health benefits... it assists in weight loss and helps with hunger issues (sometimes what we think is hunger is actually thirst), it hydrates your skin making you look younger (I can use all the help I can get), it flushes impurities and bad stuff out of your body. I was a pre-op kidney stone sufferer and I have had a few post-op too and anyone who has felt that kind of mind-numbing pain never want to experience it again. Water can help fend those off. Fruit – Just wash, slice and toss it in. I've tried lemon and lime wedges, orange slices, sliced strawberries, cucumbers, raspberries. My current favs are raspberries. 1 bottle of water with about 4 fresh juicy raspberries floating in it is a delicious treat. 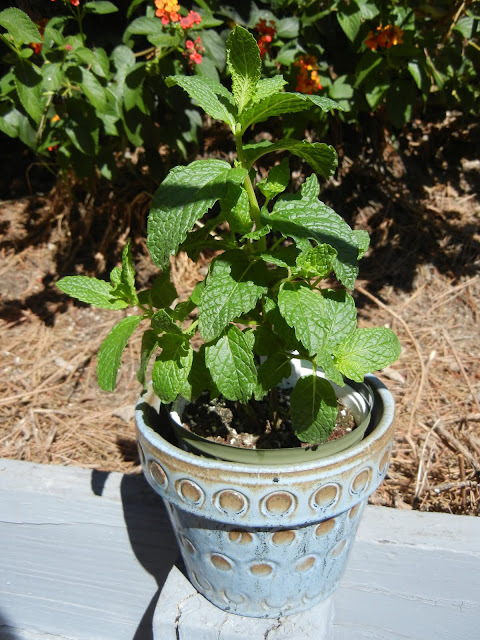 Mint - I grow mint in a pot in my yard and a few springs in a bottle of water makes it less of a snooze fest. Lemon & mint is a great combo. 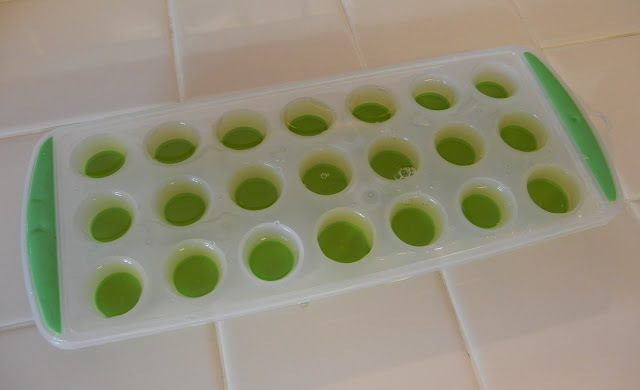 Juice Cubes – Fill an ice tray with your favorite 100% No Sugar Added Juice and put it in the freezer. I pop one or two cubes in a glass of water. It gives the water a hint of yum without too many added cals or sugars. Apple is my fav. Drink Sticks - Sugar-Free flavored drink sticks. 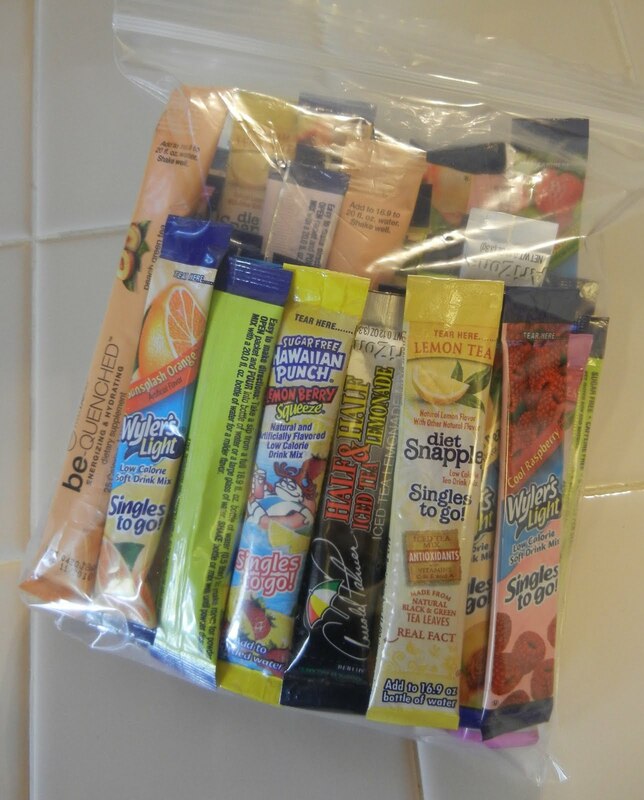 Whenever I find a new flavor I put them in this Ziploc bag and when I'm thirsty I reach into the mystery grab bag of flavors. I've had some winners I've loved and some that were yuk but it's been fun to try them. They are great for traveling. 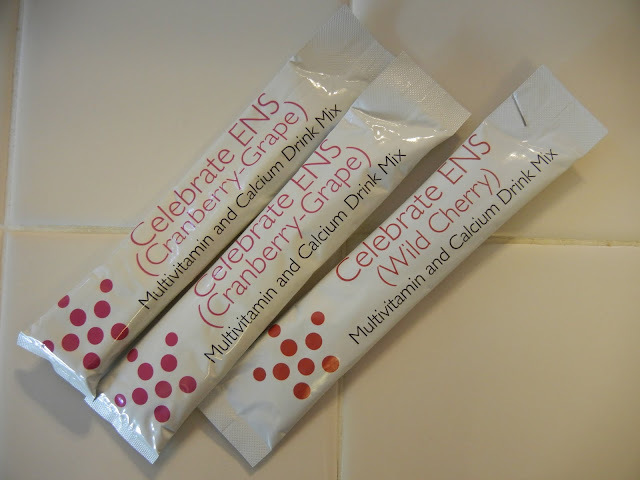 Celebrate ENS - I add one of these sticks to my water and not only does it make it taste more interesting (comes in Wild Cherry, Citrus Splash, and Cranberry-Grape) but I'm getting vitamins and minerals, plus 500 mg of calcium citrate in each stick. Also great for traveling. Now I'll never give up my cups of Joe (that's just crazy talk) but I am trying to create more balance and moderation in my day. 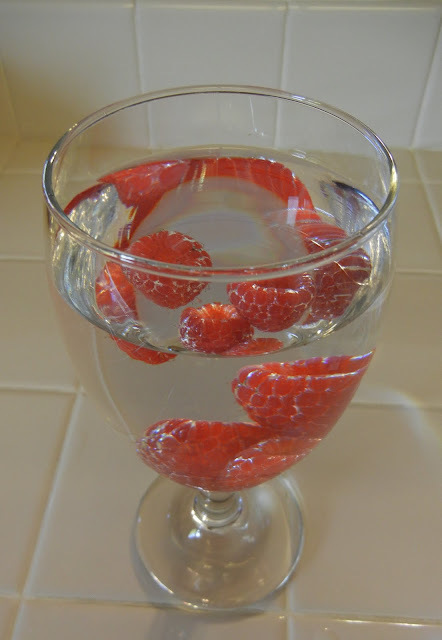 What do you do to jazz up your water? 1. Excited to be working with Lauren's Hope Medical Jewelry on a few upcoming projects including this: 10% off Eggface blog reader discount code just in time for holiday shopping. My bracelet also has info about my allergy to Penicillin. 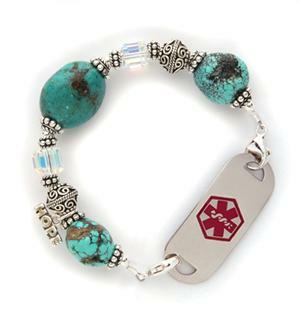 Some medical id bracelets are so clinical looking but these are gorgeous as well as lifesaving. The medical tag with the important good stuff is is clearly able to be seen when taking your pulse (EMTs are trained to look for them) and the bracelet is a stylish jewelry piece you actually want to wear or give as gifts. I love mine. I get so many compliments. Watch for a giveaway soon! 2. Have you seen this? In an effort to support this year’s National School Lunch Week, The University of Southern California Masters in Teaching program created an infographic (click to expand), "The Childhood Obesity Epidemic." Scary, scary stuff. 3. For those of you that have or had diabetes be sure to read this, the first long-term, controlled, prospective study on the effects of gastric bypass surgery on diabetes. It's good news: the study shows significant long-term benefits. 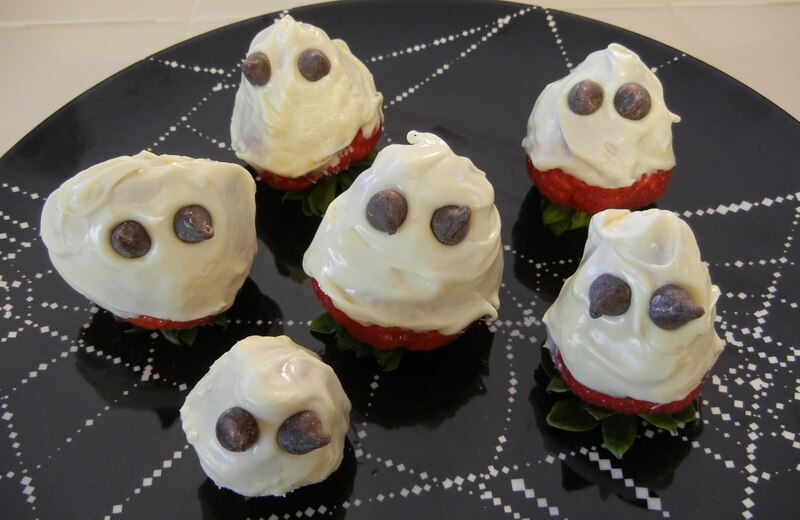 Fresh Strawberries dipped in Sugar-Free White Chocolate (Amber Lyn Chocolate they often do Costco Road Shows in the Western US) with 2 Sugar-Free Chocolate Chip (Hershey's found at Walmart) eyes. Almost too cute to eat... almost ;) Nom. 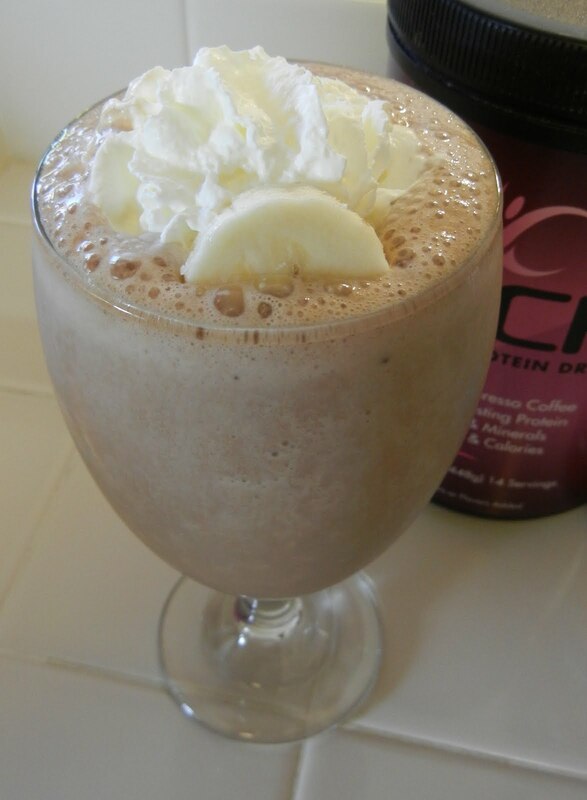 Breakfast: I made a CLICK Banana Protein Frappe. Who needs Starbucks?! Whiz in blender till smooth. Top with optional squirt of Homemade No Sugar Added Whipped Cream and a slice of banana. Dinner: My Faux "Spaghetti" and Meatballs. I had some beautiful sweet Maui Onions, sliced them and cooked them low and slow till they were soft and just beginning to caramelized. 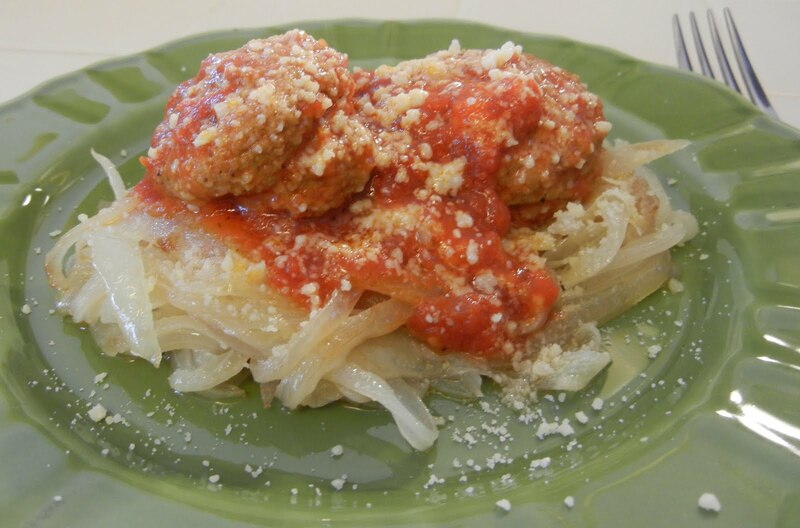 Served them with Turkey Meatballs, Marinara Sauce and a sprinkle of Parmesan Cheese on top. Generally I don't like pasta replacements. I don't do wheat or tofu noodles (there's Sicilian law against using those, not really but should be) but I love to use veggies as a pasta replacement like these "Spaghetti" Onions or my Zucchini Manicotti. I actually prefer them and would choose them over pasta any day. Seriously, I would. Snack: Oodles of coffee and the other half of that Wild Berry Quest Protein Bar while I watched *hangs head in shame* The Real Housewives of Beverly Hills. It was a tasty day. Congratulations!!! You are the winner of the totally SPOOKTACULAR Gift Basket of Celebrate Vitamin goodies. Check your mail and follow email instructions for claiming your prize. If you weren't the lucky winner this time and still want to try any of the GREAT Celebrate Vitamins products. Here's a link to order or learn more. Thank you for playing everyone! Another AWESOME Giveaway is coming soon! 1. Had a fun shout out this week: Remember last year's Halloween Bento. 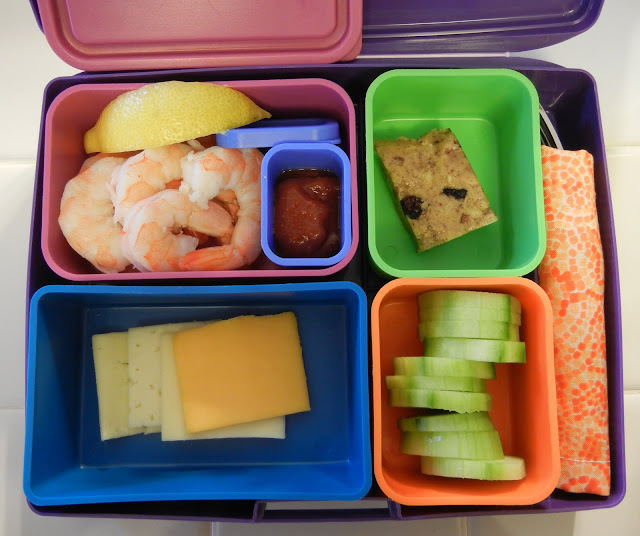 It was featured in this month's Laptop Lunch Box Bento Newsletter. 2. The Treat Yourself Right Giveaway continues through Sunday. 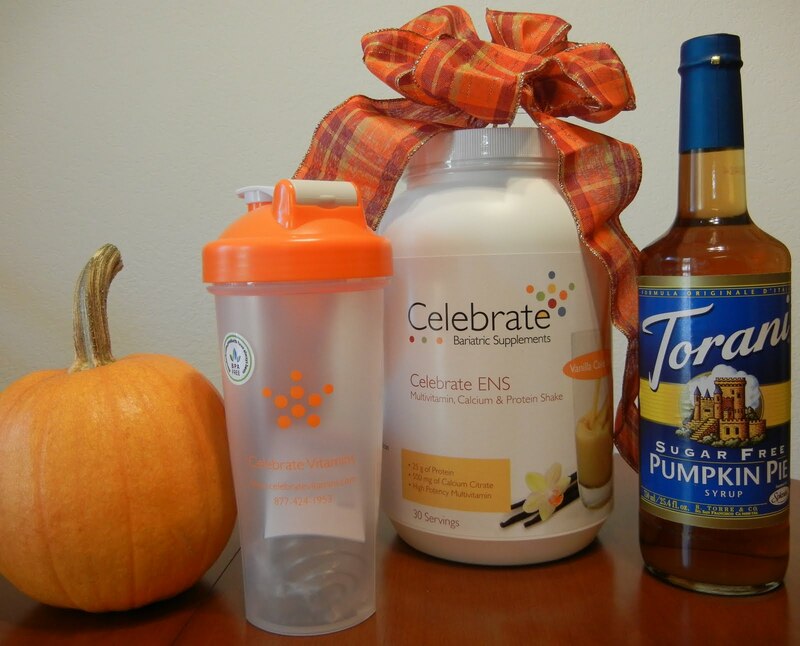 Be sure to hit this link to add your name to the hat to win an AWESOME Basket of Celebrate Vitamin goodies. Tell your pals about it on Facebook for an extra shot at the prize. I'm excited we have a ton of great giveaways coming up in the next few weeks. 3. Heads up: Kay's Gluten Free Protein Snack Sale. Up to 30% off (see link for details and discount code.) My favs: Protein Cookie Bites (like puffy Cinnamon Toast Crunch cereal) and Protein Cereal (Crunchy O's in 3 flavors - great sprinkled on yogurt) are part of the sale. Nom nom nom. Political affiliations aside I loved The Obesity Society's Position Statement on the recent criticism of New Jersey Governor Chris Christie's weight. "A person’s body weight provides no indication of an individual’s character, credentials, talents, leadership, or contributions to society." A little perspective for those who continue to hate: 34% of the U.S. adult population is affected by obesity. When you make inappropriate and hurtful comments or jokes, sneer or treat someone differently, don't hire or promote someone, or one of the countless other ways we are maltreated and stigmatized. Realize this: the stats say someone just did this to your Grandma, Mom, Pop, Sister, favorite Uncle. 5. 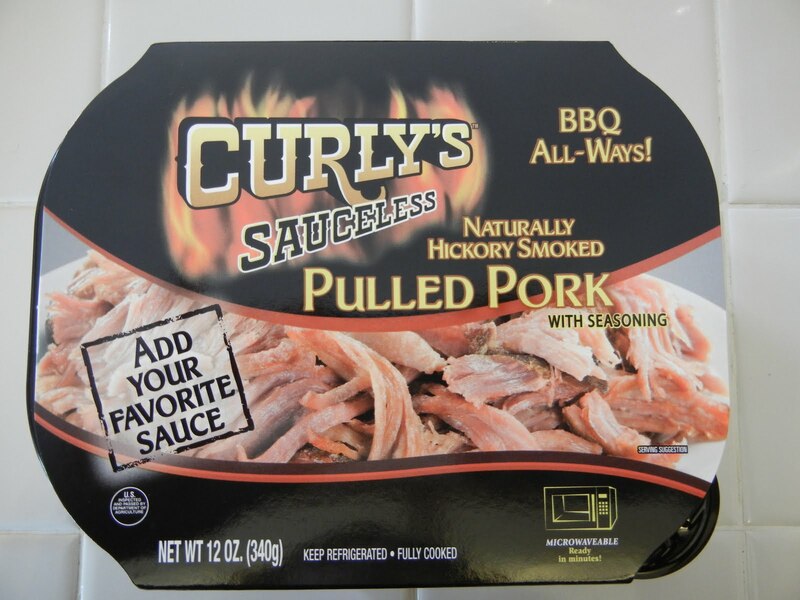 Heads up on a cool new product: Curly's Sauceless Pulled Pork & Pulled Chicken. I picked up the Pulled Pork the other night. Found it in the refrigerated meat section. The sauceless part jumped out at me. Perfect for RNY Gastric Bypass -ers that may dump on convenience products like this that are usually dripping with high sugar barbeque sauce. Without sauce, you can control the amount you add or not add. Rock on Mr. Curly whoever you are. Verdict: It was super yummy. Pre-cooked in its own microwavable tray (no work), just nuked for about 4 minutes and shred it with a fork. It's a lot of meat, 3/4 of a pound, so plenty for a family or several meals. 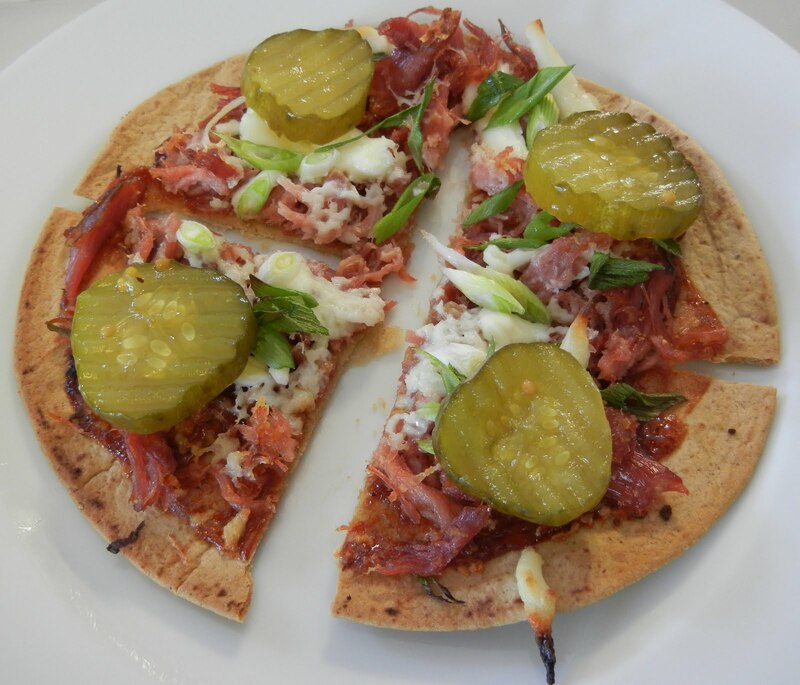 Shelly's Pulled Pork Tortilla Pizza - Mission Carb Balance Whole Wheat Fajita Size Tortilla topped with a smear of BBQ sauce, Curly's Sauceless Pulled Pork, sliced Green Onion, a sprinkle of Mozzarella Cheese, and after it was done I topped each slice with a Pickle Chip. How to cook Tortilla Pizzas. My dinner yesterday. Super yummy and soooo easy. These would have actually been perfect today as I hear it's National Taco Day and this is a weight loss surgery friendly, low carb taco of sorts. I just might have to make them again tonight. Wash & dry some Bibb/Boston lettuce leaves. 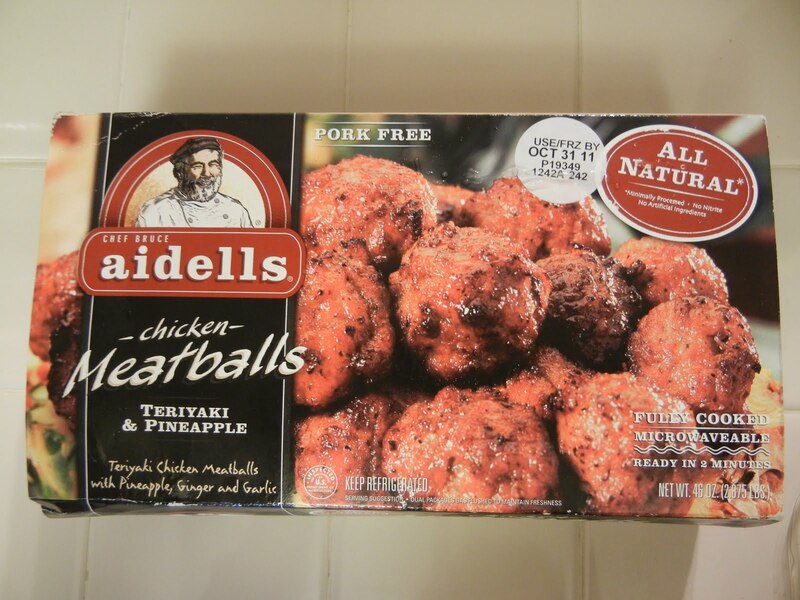 Warm meatballs according to package instructions. 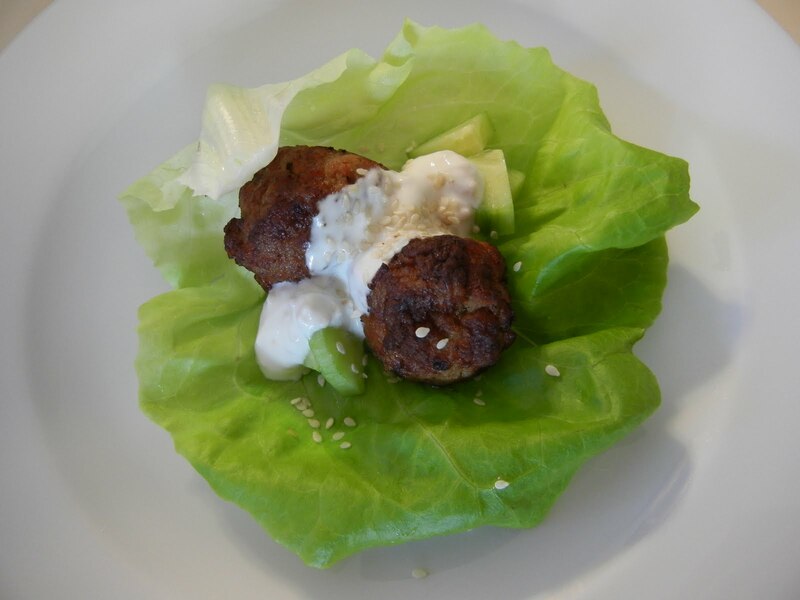 Place 2 meatballs per lettuce leaf. Sprinkle with chopped cucumber and sesame seeds. 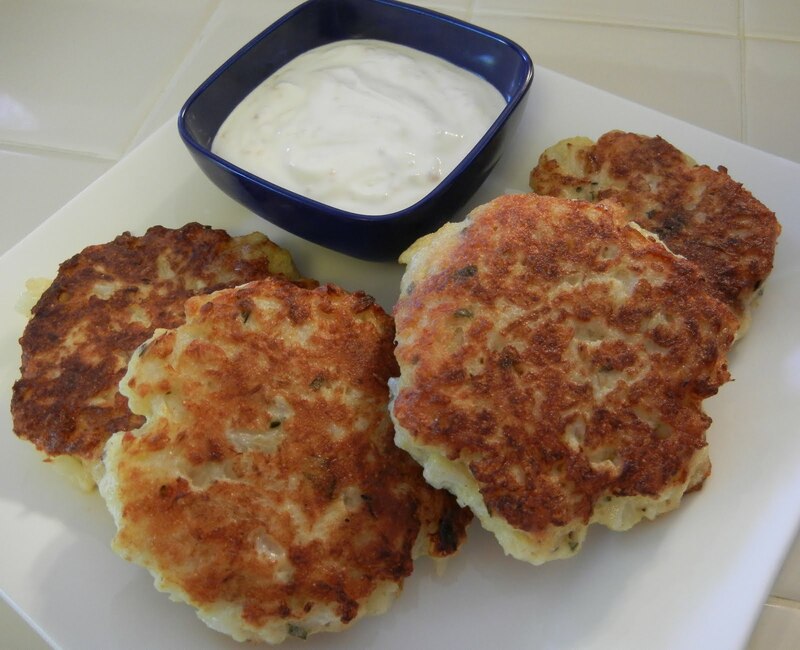 Drizzle with yogurt dip for a little added protein and moisture. Mix till well combined. Can be refrigerated a couple of days. Great as a dip for meats and veggies. 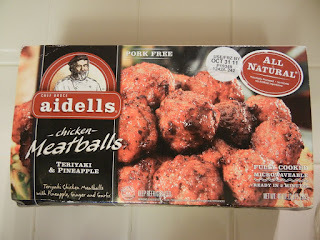 I picked up the Aidells Chicken Teriyaki Meatballs at Costco. They are great. Super easy for those nights you just don't want to cook. They are fully cooked. I just nuked them a few minutes and as they heated I prepped the other ingredients. I had a yummy dinner done in less than 15 minutes. Take that Rachael Ray. When you sign on the dotted line for weight loss surgery it comes some lifelong rules that must be followed, one of which is taking vitamins and mineral supplementation faithfully. So many post-operative issues and complications can be avoided if we just make sure to take our vitamins every day. Not all vitamins are created equal. 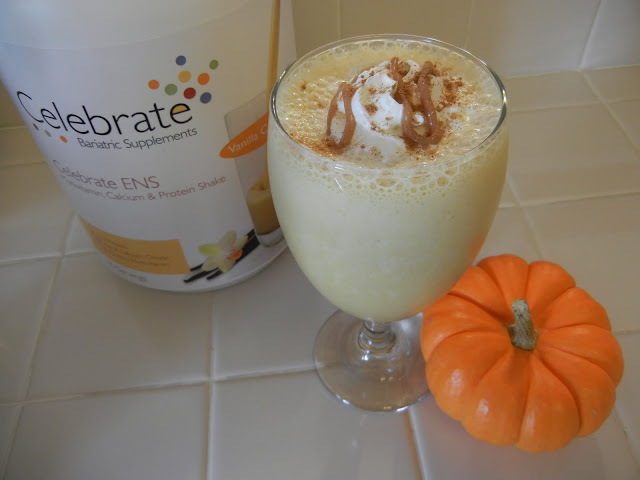 Celebrate Bariatric Supplements are developed specifically with bariatric surgery patients altered guts in mind, they understand our unique post-op nutritional needs and they design quality (and super yummy) products to meet those needs. In my non Dr opinion, it's important our bodies get the most out of our vitamins it can, so if they don't dissolve within a reasonable amount of time or easily absorb our rearranged guts don't reap the benefits of them and that's no bueno. It's Halloween this month which means trick or treating. I choose to treat myself right by taking my vitamins every day (and shoot some of these taste better than candy) In honor of that... It's GIVEAWAY time! 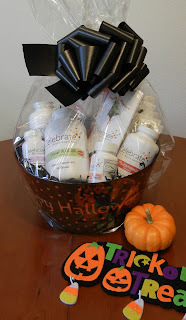 The Prize: This totally SPOOKTACULAR Gift Basket of Celebrate Vitamin goodies to help you maintain post weight loss surgery good health. Calcium Plus 500 (Cherry Tart) 90 ct.
Multivitamin (Pineapple Strawberry) 60 ct.
Multivitamin (Mandarin Orange) 60 ct.
30mg Iron (Grape) 30 ct. Your Multivitamin, Calcium, Fiber and Protein all in one drink. If only these were around when I was a new post-op. How to enter: Like both Celebrate Vitamins and The World According to Eggface on Facebook and then come back and LEAVE A COMMENT (include a name and an email addy) on this blog posting. P.S. Can't wait to find out if you are a winner to get yourself some Celebrate Vitamins. Here's a link to order. Oh and if you get that Vanilla Cake Batter flavor you must make my Apple Cake Shake. Soooo good. I had no idea it was World Vegetarian Day, the annual kick-off of Vegetarian Awareness Month, till I logged onto twitter this afternoon and saw a tweet about it but so far it's been a vegetarian day. Not holding out hope for dinner as I'm heading to a Greek Festival and ummm well the Souvlaki will be calling me but what I had for lunch is a vegetarian dream. Sooooo flippin' good and CHEAP. I scored a gorgeous cauliflower at get this... the 99¢ store of all places. Boil cauliflower in salted water until fork tender but not falling apart. Drain. Coarsely chop cauliflower. I snipped it with kitchen shears. Add remaining ingredients. Mix till combined. Using an ice cream scoop or a 1/4 cup measure form into patties. Slightly press down. Place in a non-stick pan that has been sprayed with Pam or a small drizzle of Olive Oil. Cook on low to medium heat till browned on one side about 5 minutes. Flip, pat down slightly and cook till browned on other side about 5 minutes. I made 8 fritters, the recipe can be halved I wanted leftovers. Serve with Shelly's Garlicky Parmesan Yogurt Dip or Shelly's High Protein Parmesan Dip for an extra protein punch or they are also yummy with Marinara Sauce. Nom.